Dating to the sixth millennium BC, the Halaf Period of northern Mesopotamia has long been considered a time of intense interaction and communication. This claim is based on the remarkable similarity that Halaf Period ceramic styles and especially painted pottery motifs show even over great distances. Analyzed for this paper are a series of potsherds from the contemporaneous levels of the site of Tell Kurdu located in the Amuq Valley of southern Turkey. A range of techniques including X-ray diffraction, wet chemical analysis, scanning electron microscopy and microanalysis, and petrography have been used in order to assess the source materials and to infer evidence for imports. Results show that although painted ceramic motifs at Tell Kurdu are Halaf-like in their general style, they are locally made. Moreover, at least one unpainted sherd may indicate that the sixth millennium inhabitants of Tell Kurdu must also have been involved in an inter-regional trade network. 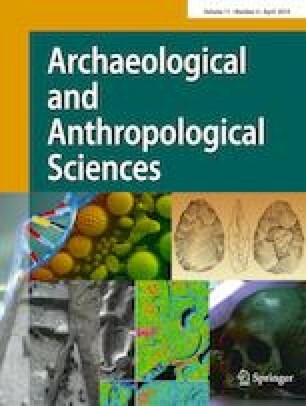 The latter conclusion mirrors similar results by other researchers who have consistently shown that ceramics were regularly traded across northern Mesopotamia in the sixth millennium BC. The online version of this article ( https://doi.org/10.1007/s12520-018-0597-7) contains supplementary material, which is available to authorized users. Funding for the excavation of the sixth millennium levels at Tell Kurdu and the subsequent research comes from the National Science Foundation Dissertation Improvement Grant (BCES 0118085), the Wenner–Gren Foundation (GR 6788), the Fulbright–Hays Program, Northwestern University, the American Research Institute in Turkey (ARIT), the Archeological Institute of America (AIA), and Koç University.